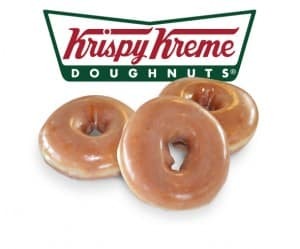 Click here to visit the Krispy Kreme site and register to become a “Friend of Krispy Kreme.” Depending on your location, you might be sent an email with a coupon good for a dozen free glazed doughnuts. You’ll have until 3/4 to signup. If your location is eligible, the email should come a couple hours after you sign up.